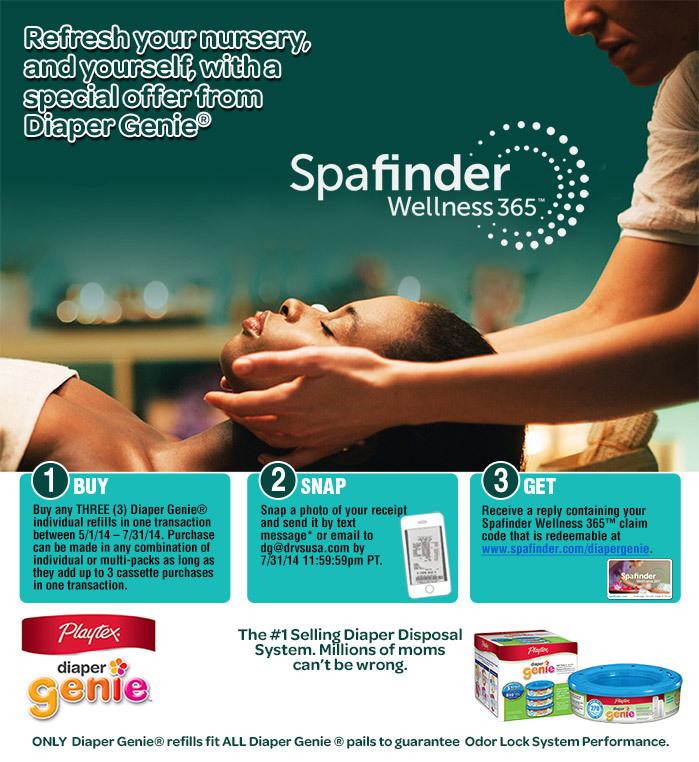 To stimulate sales of Diaper Genie refill packages, Playtex offered consumers a $25.00 Spafinder Wellness certificate. The brand utilized DRVS to convey the promotion at various chains, including Walmart, Target, and Babies R Us, as well as with on-line marketers. The offer was announced on packages and via in-store POS, plus on-line advertising and social media. Consumers were required to purchase 3 packages, snap a photo of the receipt, and email or text it to a TPG website for validation. Qualified consumers received a direct link to receive their certificate at the Spafinders website within moments.